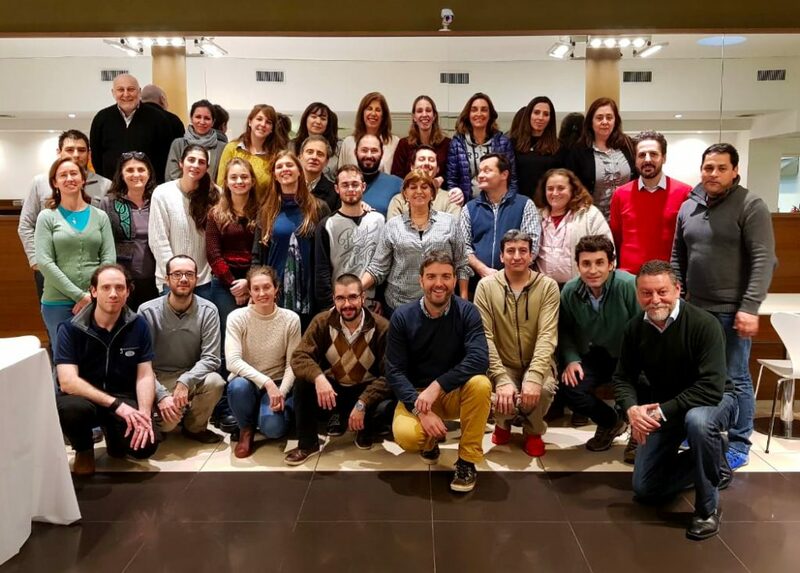 From the 16 to the 20 July was held the annual course of Auditors ARGENCERT. It was a week of intensive training, technical update, procedures and new tools for service optimization. 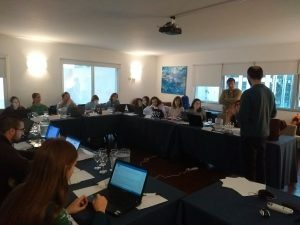 In addition to the team of inspectors nationwide, participated technicians and members of the Ecocert Group Chile and France. Thanks to the professionalism and dedication of our people, We can provide an excellent service. Day of Organic Production "Tranqueras Out"
We replicate information Area Organic Production of the Ministry of Agro Industry. 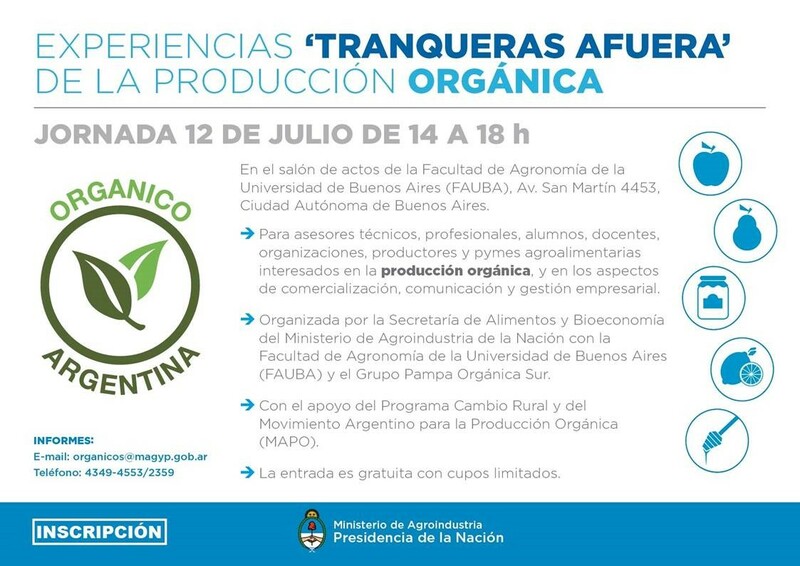 We invite you to participate in the Day of Organic Production "Tranqueras Out", PAMPA ORGANIC SUR group. The same will take place on 12 of July, of 14 a 18 hs., in the Assembly Hall of the Faculty of Agronomy of the UBA (By. San Martin 4453, CABA). 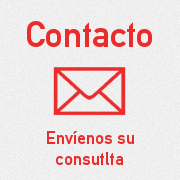 Consultations: organicos@magyp.gob.ar / (011) 4349-4553. 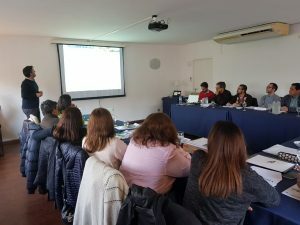 The Ministry of Agro Industry's Office held a meeting with Minister of Science, Technology and Innovation and the Argentine Movement for Organic Production (MAPO). The event was coordinated by the Secretary for Food and Bioeconomy. During the meeting it was agreed to establish the necessary priorities to strengthen and promote the sector taking into account consumption growth in the world and the opportunities that Argentina offers as a provider of differentiated products with added value. Within the plan of action the importance of attending to changing markets and the need to take account of consumers who are increasingly outstanding know in depth those foods they eat and traceability of the entire process using new technology highlights of the information, in order to have real-time history of food. 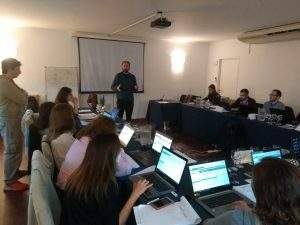 This year a project supported by the World Bank to analyze various organic value chains and their potential for international integration in Asia will be developed, European Union and United States, taking into account the growth of demand and segments of the population willing to buy these foods. The organic system is displayed as an additional scheme to conventional production it promotes development, adding value at source and the generation of employment and foreign exchange. The study will cover axes such as development in different areas of the country, innovation projects involving resolve bottlenecks currently displayed as the development of organic seeds, strategic inputs and, for example, articulately biological herbicides working with research and extension agencies such as INTA and INTI.